Nevada, one of the western states of the American Union, the 23d admitted under the constitution, situated between lat. 35° and 42° K, and Ion. 114° and 120° W.; extreme length N. and S. in the east, 485 m., and on the W. boundary, 210 m.; greatest breadth, on the 39th parallel, 320 m., N. of which it contracts to about 310 m., and S. of which it contracts to a point; area (greater than that of any other state except Texas and California), 104,125 sq. m. It is bounded N. by Oregon and Idaho, E. by Utah and Arizona (from the latter of which it is partly separated by the Colorado river), and S. W. and W. by California. The state is divided into 14 counties, viz. : Churchill, Douglas, Elko, Esmeralda, Eureka, Humboldt, Lander, Lincoln, Lyon, Nye, Ormsby, Storey, Washoe, and White Pine. The principal cities and towns are Virginia (pop. in 1870, 7,048), Gold Hill (4,311), Hamilton (3,913), Carson City (the capital of the state 3,042), Treasure (1,920), Austin (1,324), Elko (1,160), Pioche City (1,144), Reno (1,035), Dayton (918), and Silver City (879). The population, exclusive of tribal Indians, in 18(30 was 6,857; in 1870, 42,491, of whom 38,959 were whites, 357 colored, 3,152 Chinese, and 23 Indians; 32,379 were males and 10,112 females; 23,690 natives and 18,801 foreigners. There were 9,880 families, with an average of 4.3 persons to each, and 12,990 dwellings, with an average of 3.27 to each. The number of male citizens of the United States 21 years old and upward residing in the state was 18,652. Nevada has fewer inhabitants than any other state. Of the native population, 3,356 were born in the state, 3,265 in New York, 2,390 in California, 1,858 in Ohio, 1,488 in Pennsylvania, 1,144 in Illinois, 1,083 in Maine, 1,053 in Missouri, 997 in Massachusetts, and 958 in Utah. Of the foreigners, 5,035 were natives of Ireland, 2,549 of England, 2,365 of British America, and 2,181 of Germany. There were 727 persons 10 years old and upward unable to read, and 872, including 198 Chinese, unable to write. Of the total number of persons 10 years old and upward returned as engaged in all occupations (26,911), 2,070 were employed in agriculture, including 555 laborers and 1,242 farmers and planters; in professional and personal services, 7,431, including 35 clergymen, 3,939 laborers, 166 lawyers, 110 physicians and surgeons, and 61 teachers; in trade and transportation, 3,621; and in manufactures and mechanical and mining industries, 13,789, of whom 8,241 were miners. The number of tribal Indians in Nevada in 1874, according to the report of the United States commissioner of Indian affairs, was between 4,000 and 5,000, viz. : Pah-Utes, 800; Pi-Utes in the S. part of the state, 1,031; Pi-Utes (1,000), living partly in W. Nevada and partly in N. E. California; Western Shoshones (1,945) and Goship Utes (460), living partly in central and E. Nevada, and partly in Oregon, Idaho, and Utah. The Pah-Utes have two reservations of 320,000 acres each, including Walker lake and Pyramid lake respectively. The southern band of Pi-Utes belongs on a reservation of 3,900 sq. m. in the S. E. part of the state, but only about 500 have been removed to it. The tribes of Nevada are not hostile, and many of their members are engaged in agriculture. - With the exception of the S. E. corner, which belongs to the basin of the Colorado river, and a small portion in the N. E. drained by the Owyhee and other tributaries of the Snake, Nevada forms part of the elevated region lying between the Wahsatch and Sierra Nevada mountains, and known as the Great Basin. The general surface is a table land, with an altitude of 4,500 ft. above the sea, traversed with great uniformity by nearly parallel ranges of mountains rising from 1,000 to 8,000 ft. higher. These ranges for the most part have a N. and S. direction, and are separated by valleys from 5 to 20 m. wide, the bases of the mountains having also about the same width. The mountains are frequently intersected by ravines, which form easy passes, and in some places are broken into confused and detached masses. The valleys sometimes extend more than 100 m., uninterrupted except by an occasional butte or projecting spur, and frequently, where the mountains disappear or contract, unite with other valleys, or expand into broad plains or basins, some of which are unobstructed, while others are dotted with buttes or covered with groups of rugged hills. The Sierra Nevada mountains, which form a portion of the W. boundary, reach an elevation of from 7,000 to 13,000 ft. above the sea. The rivers of Nevada are small and unnavigable, and with the exception of the Owyhee and other streams that flow N. into Oregon and Idaho, and join the Snake, a branch of the Columbia, and the Rio Virgen and other small tributaries of the Colorado in the S. E., have no outlet to the ocean. The Colorado is navigable along the S. E. border to Callville. Some of the streams terminate in beautiful lakes; others disappear in " sinks " or sloughs. Many of them in their course sink in the porous soil, and reappear a few miles further on. There are many small mountain streams that lose themselves soon after reaching the plains. The Humboldt, the longest river, rises in the N. E. corner of the state, flows generally W. for upward of 200 m., when it receives the Little Humboldt from the north, bends S. W., and after a further course of nearly 100 m. terminates in Humboldt lake or sink. Walker river is formed in the S. W. part of the state by the junction of the E. and W. forks, which rise in the Sierra Nevada in California, and flows first N. E. and then S. E and terminates in Walker lake in Esmeralda after a course of 45 m. The Truckee river flows from Lake Tahoe on the California border, W. of Carson City, in an irregular N. E. course of about 60 ra., and empties into Pyramid lake. Carson river rises in the Sierra Nevada S. of Lake Tahoe. and flows N.E. to the Carson lakes in Churchill co. Reese river, in the central portion of the state, Hows N. toward the Humboldt, but usually sinks before reaching it. Quin's river and King's river are in the northwest. In the south is the Amargosa river, which disappears in Death valley, California. About a third of Lake Tahoe is in Nevada. It has a depth of 1,500 ft., is 21 m. long by 10 m. wide, and. though more than 6,000 ft. above the sea, never freezes, the temperature of the water varying little from 57° throughout the year. Pyramid lake, in the E. part of Washoe co., 33 m. long and 14 m. wide, and Walker hike, about 30 m. long and 6 or 7 m. wide, have considerable depth, and as well as Lake Tahoe contain pure water and abound in trout and other fish. The water of the rivers, particularly of the mountain streams, is generally fresh and pure, and well stocked with fish. In some of the rivers, however, as the Humboldt, particularly in low stages of water, and in most of the smaller and shallower lakes, it is bra 'kish and alkaline. Lower Carson lake, 12 m. in diameter, and Humboldt lake, somewhat smaller, are shallow, being in fact mere sinks, and are connected with each other at high stages of water by small streams or "sloughs." Other lakes or sinks are Ruby, Franklin, and Snow Water, in the E. part of the state, and Winnemucca lake, E. of Pyramid, which occasionally discharges into it its surplus waters. Many of the plains and valleys, being nearly level or slightly basin-shaped, and consisting of a stiff clay nearly impervious to water, are readily converted in the wet season into shallow lakes, rarely more than a foot or two deep, which derive the name of "mud lakes" from their generally miry and impassable condition. Some of them exist only for a few days, others last until the dry season comes on, and a few continue throughout the year. When dry, their beds become very hard, and are often covered with an incrustation of alkaline matter, in which condition they are known as alkaline flats. The most extensive mud lakes occur in the N. W.. central, and S. portions of the state, where some of them cover more than 100 sq. in. - Both cold and hot springs abound in many parts some being in a state of ebullition, others quiet; some pellucid and pure, others impregnated with a great variety of mineral substances. In some places they occur singly, and m others in groups. They range in temperature from 50 to 204Job, the latter being about the boiling point of water in this region in diameter, from 1 to Km, ft.; and in depth, from from: 3 or 4 to 150 ft. They are generally circular in form. 'the mineral and warm springs are commonly situated on mounds formed of the silicious or calcareous particles brought up by their waters, sometimes covering several acres and 50 or GO ft. high. Hot and cold springs are often found in close proximity to each other. The most common mineral substances found in the waters are chlorides of sodium and magnesium, with soda in various forms, and a small percentage of lime, sulphur, silica, and iron. Some of these springs possess curative properties. The most remarkable group of warm springs in the state is that known as the Steamboat springs in Washoe co., about 1G m. N. of Carson City and 4 m. E. of the Sierra Nevada. They occupy a rocky mound about ½ m. long and ¼ m. wide, rising 50 or 60 ft. above the valley. The mound is rent longitudinally by a number of irregular fissures from six inches to a foot in width, through which at intervals of a few minutes volumes of hot water gurgle up, and after hissing and foaming for a minute or two subside. From some of the fissures small jets of steam constantly escape, accompanied by gas. Besides the fissures there are pools filled with hot water, one of which, occupying a basin 3 ft. in diameter and 1 ft. high, rises and falls every six minutes. The temperature of these springs varies greatly, that of the hottest being 204°. The air here smells of sulphur, and the ground in the vicinity is impregnated in places with that mineral. The springs emit a sound like that of a boiling caldron, and when first discovered are said to have given forth a puffing noise like that of a steamboat, whence their name. Some of the cold springs, particularly in the E. and central parts of the state, are scarcely less remarkable for their size, depth, and volume of water discharged. The salt deposits of Nevada are extensive and important. The largest supply at present is obtained from the Sand Springs salt marsh, E. of the Carson sink in Churchill co., which contains a bed of crystallized salt of unknown thickness below several layers of clay. It is obtained only from the surface, which is damp and marshy, and in some places covered with a few inches of water, and is coated with a crystallized incrustation of salt two or three inches thick. When removed it immediately begins to reform, and a fresh supply may be gathered about once a month. About 40 m. N. of the Sand Springs marsh, in the same county, is a similar deposit, from which a considerable quantity is obtained. It consists of an incrustation of salt an inch or two thick, overlying a stratum of blue clay 18 in. thick, filled with cubical crystals of salt, and resting upon an unknown depth of pure salt. The most extensive salt field of the state is in Silver Peak district, Esmeralda co., covering an area of 40 or 50 sq. m., much of which is coated with a thick incrustation of pure salt underlaid by seams of clay and a crystallized mass of salt of unknown thickness. In Smoky valley, Nye co., 2 m. from the line of Lander co. and 32 m. from Austin, is a salt marsh, upon which an incrustation of salt forms in spring, which is gathered. Salt valley, 30 m. E. of Humboldt lake, is remarkable for its immense salt bed. In Lincoln co., in the S. E. part of the state, W. of the Rio Vir-gen, are the "salt bluffs," 500 ft. above the level of the valley, consisting of a mass of pure rock salt, nearly 2 m. long and 1½ in. wide, of unknown depth, covered with a coating of sand and earth from a foot to several feet thick. The waters of the Eagle salt marsh, in Churchill co., 3 m. from Hot Springs on the Central Pacific railroad, contain 30 per cent, of salt, which is obtained by evaporation. There is also a salt marsh in Eureka co., 43 m. N. of the town of that name, where salt is made by evaporation. Borax is also an important product of the state. It is manufactured in Churchill co. near Hot Springs, and E. of the sink of the Carson, from boracic acid and the borates of lime and soda, which occur in the alkali flats. The richest and most extensive deposits of the salts of borax (containing 31 per cent, of that substance) are found near Columbus, in Esmeralda co., and large quantities are here manufactured. The borates of lime and soda occur between two layers of salt, the lower one of which is itself underlaid by a bed of sulphate of soda (Glauber's salt). Soda is obtained from a small lake 25 m. from Wadsworth, on the Central Pacific railroad, in the central part of the state, forming on the shore in a nearly pure state as fast as removed. - The general geological character of Nevada is volcanic. The mountain ranges are composed, first, of crumpled and uplifted strata, from the late Jurassic down to the azoic period; secondly, of ancient eruptive rocks, which accompany the Jurassic upheaval; and thirdly, of modern eruptive rocks belonging to the volcanic family, and ranging in date probably from as early as the late miocene up to the glacial period. The valleys are filled with quaternary detritus, the result of erosion from the early cretaceous period down to the present time. Syenite, granite, porphyry, slate, and quartzite prevail in some of the mountain ranges, while many of them are of limestone, mingled with calcareous spar; this either rests upon or alternates with hard and compact grits and quartzite. In many of the canons are found bowlders of serpentine, conglomerate, talcose slate, fine gray granite, coarse red, crystalline white, and metamorphic sandstone, gypsum, pebbles of alabaster, and various kinds of limestone. Marble of different textures is found in various localities. The volcanic action is indicated by the presence of lava, obsidian, scoria, and sulphur. In the mountains of the Colorado basin limestone predominates, besides which are found granite, syenite, serpentine, arenaceous and chloritic slates, all scored and marked by dikes and overflows of trachytic lavas and basaltic trap rock. Where granite and gneiss (which are the prevailing rock formations of the Sierra Nevada) occur here, they are for the most part hidden by porphyries, greenstone, amygdaloid, basalt, obsidian, and other rocks of igneous origin. Traces of coal of different varieties, but generally of inferior quality, have been found in various localities, but it has not been successfully mined, and is not known to exist in valuable quantities. Seams of coal of superior quality have recently been discovered in the Pancake mountains in White Pine co., 15 m. from Hamilton, but to what extent they can be made available is yet undetermined. Kaolin and other clays, useful in the manufacture of pottery and fire brick, mineral pigments, nitre, and alum are found. Copper occurs in Churchill co., E. of the lower Carson sink; in Battle Mountain and Bolivia districts, Humboldt co., where several mines are in operation; and between the forks of Walker river. Rich lead and copper ores exist in Washoe co., and copper and iron are found in Robinson district, White Pine co., 45 m. E. of Hamilton. Veins of antimony are worked in Battle Mountain district. These metals, which are also found in other parts of the state, and cinnabar, manganese, plumbago, magnesia, platinum, zinc, tin, nickel, cobalt, and arsenic, generally occur in connection with the precious metals. Gold and silver are commonly found associated with each other, gold predominating in the Antelope district, Churchill co.; in Tus-carora district, on the head waters of the Owyhee river; in Gold Mountain district, Esmeralda co.; in Sacramento district, and in some of the mines of Sierra district, Humboldt co.; and in some other places. But the great wealth of Nevada is in its silver mines, which exist in nearly every section. The richest deposit of silver in the state, if not in the world, is the Comstock lode, on the E. side of Mt. Davidson, in Storey co., and partly under the towns of Virginia and Gold Hill. Its ores contain about one third in value of gold and two thirds of silver. The lode has been traced on the surface 27,000 ft., and has been actually explored for 19,000 ft., within which space the principal mines are situated. It has been opened to a depth of 2,000 ft. New deposits were discovered toward the close of 1874, which are believed to be of incalculable value. A tunnel, known as the Sutro tunnel, is in progress, designed to drain the mines and otherwise facilitate operations on the lode. It commences at a point 1½ m. from Carson river and 3½ m. below Dayton, and runs N. W. to the Savage mine, a distance of 20,178 ft., where its depth will be 1,922 ft. At the close of 1874 it had reached a distance of 8,250 ft., and was progressing at the rate of 7 ft. a day. ENTIRE PRODUCT OF THE STATE. Separate product of the Comstock lode. The value of the bullion product of Nevada since 1871 has exceeded that of California. The United States census of 18T0 (admitted to be incomplete) returns 139 mines, having 44 steam engines of 2,780 horse power and 2 water wheels of 50 horse power; hands em-ployed, 2,866 (809 above and 2,057 below ground); capital invested, $32,253,400; wages paid during the year, $2,900,872; value of materials used, $1,636,865; of produces, $11,-166,452. Of the mines, 91 were quartz mines of silver, 46 quartz mines of gold and silver, 1 copper, and 1 lead. The number of quartz-crushing mills in 1872, according to the report of the state mineralogist, was 162; number of smelting furnaces, 16; number of stamps, 1,904; daily capacity in tons, 5,183. These numbers include those idle as well as those in operation. (See Silver.) The amount of bullion from Nevada deposited at the United States mints and assay offices to June 30, 1874, was $17,044,166 42, of which $13,492,414 79 was silver and $3,551,751 63 gold. A mint was established at Carson City in 1870, at which the deposits of gold from all sources to Dec. 31, 1874, amounted to $14,093,487 86; of silver, to $14,109,017 19; total, $28,202,505 05. The climate is in general comparatively mild, the summers not warmer than E. of the Rocky mountains, and the winters less severe than in New England, little snow falling except on the mountains, In the north and interior the average summer temperature at noon is 90°, fall-ing to To at night. In the severest weather in winter the thermometer ranges from 0° to - 15 or - 20°. In the southeast the winters are milder, frosts being rare in the valleys, and the summers hotter; the thermometer in May and June ranges from 95° to 115°. Little rain falls, artificial irrigation being necessary to agriculture, and thunder and lightning, though more frequent than in California, are rare. In the north and west the wet season lasts from January to May, when there are slight rainfalls, while occasional showers occur in the south and east during the summer months. Cloud bursts, which precipitate large quantities of water, and often do much damage, are not infrequent; and sand storms and sand clouds or pillars, the latter formed after the manner of water spouts, are common on the plains, where also mirage is of frequent occurrence. The air is generally pure and invigorating. - The general appearance of Nevada is arid and barren. The E. slopes of the Sierra Nevada within the state are heavily timbered with pine, spruce, and fir. These forests constitute the only lumber region of the state, and are fast disappearing. The other mountain ranges are bare or thinly wooded with dwarf trees, principally cedar and pinon or nut pine, with mountain mahogany, fir, and juniper in some localities. The White Pine mountains, in the county of the same name in the E. part of the state, contain some good-sized white pine and white fir, and the yellow pine on the E. slope of the Spring mountains in the Colorado basin attains a considerable size. The open plains and narrow valleys are destitute of wood, except where traversed by considerable streams, along which occur scattered cottonwoods, copses of willows, birch, wild cherry, etc., mostly of small size and little value. With these are often found rose, currant, gooseberry, and other bushes, and varieties of wild vines. The plains generally produce only sand grass and sage (arte-misia), while the watered valleys contain meadow land, and most of the mountain ranges are more or less clothed with bunch grass. But in some sections valleys, plains, and mountains are equally destitute of wood, and but scantily supplied with grass and water, the latter where it occurs being often so impregnated with mineral substances as to be unwholesome, or so warm as to be unfit for immediate use. Some of the more extended plains are so barren as to receive the popular designation of " deserts," among which may be mentioned those adjacent to the sinks of the Humboldt and Carson, the vicinity of the mud lakes in the northwest, and the region stretching from the Great Salt valley of Churchill co. through the centre of the state, and spreading out into the sandy wastes that surround Death valley in California. Most of the Colorado basin is a sandy desert yielding only sage brush, greasewood, and cacti. The mezquite bush is also found in this part of the state. Large portions of Nevada are well adapted to grazing, stock in most parts of the state requiring neither prepared food nor shelter in winter. The bunch grass of the mountains furnishes food in summer, and in winter the herds descend to the plains and fatten on the sand grass and white sage. The sand grass grows in bunches to the height of a foot, and bears an abundance of small black seeds that are very nutritious; the white sage is eagerly sought for after it has been touched by the frost. Much of the most barren land of the state possesses the elements of fertility, and with irrigation would be productive. The general character of the soil and contour of the surface induce the belief that artesian wells may be successfully employed for this purpose. At present agriculture is carried on only in the fertile bottoms of the principal rivers, and at points where the mountain streams afford the means of irrigation. The principal agricultural tracts are the valleys of the Truckee, Humboldt (though the soil here is somewhat alkaline), Quin's, King's (25 m. N W. of the last), Reese, Walker, Carson, and Owyhee rivers; Paradise valley, watered by the Little Humboldt; and Pahranegat valley, in the S. E. part of the state. Some of the valleys not intersected by rivers are susceptible of cultivation. Here the mountain streams sink upon reaching the valleys, and make their way underground toward the centre, where, meeting with obstructions or gathering in natural basins, they saturate the earth and render it productive. Around some of the lakes or sinks and along some of the streams occur patches of "tulé land," or ground overflowed at high water and covered with a large species of bulrush. When drained these tracts form excellent meadows and may be cultivated. The chief crops are wheat, barley, oats, hay, potatoes, and other vegetables. In most parts of the state the nights are too cool for Indian corn. In some places apple, pear, peach, and plum trees, and the grape vine have been set out, and have borne well. Forest and shade trees have also been planted at a few points. In the valley of the Muddy, a tributary of the Rio Virgen, and at other points in the Colorado basin, the Mormons a few years since had settlements, where they raised cotton, sorghum, tobacco, melons, squashes, beans, Indian corn and the smaller grains, oranges, lemons, peaches, grapes, apples, pears, apricots, figs, pomegranates, olives, etc. Two crops a year may be raised here, wheat, barley, and oats being harvested in June, after which corn, beans, and garden vegetables are planted. The principal wild animals are the hare, coyote, and wolf. The beaver, otter, marten, fox, fisher, and other fur-bearing animals are now rarely found. The sage hen is common, and geese, ducks, cranes, and pelicans are numerous around the lakes and sinks at certain seasons of the year. - The number of acres of improved land in farms in 1870 was 92,644; number of farms, 1,036, of which 116 contained less than 10 acres each, 138 from 10 to 20, 190 from 20 to 50, 150 from 50 to 100, 242 from 100 to 500, 197 from 500 to 1,000, and 3 more than 1,000; cash value of farms, $1,485,505; of farming implements and machinery, $163,718; amount of wages paid during the year, including the value of board, $438,-350; estimated value of all farm productions, including betterments and additions to stock, $1,659,713; value of orchard products, $900; of produce of market gardens, $31,235; of forest products, $36,700; of home manufactures, $2,829; of animals slaughtered or sold for slaughter, $104,471; of live stock, $1,445,449. The number of steam engines employed in the quartz mills was 84, with 5,006 horse power; water wheels, 22, with 2,168 horse power; hands employed, 1,637; wages paid during the year, $1,693,135; value of materials used, $8,527,843. There are 527 m. of railroad in the state, viz. : Central Pacific, which crosses it from E. to W., connecting with San Francisco and the Union Pacific railroad, 454 m.; Virginia and Truckee, from Reno on the Central Pacific via Carson City to Virginia, 52 m., with a branch of 1 m.; and the Pioche and Bullionville, between those two points in Lincoln co., 20 m. The Eureka and Palisade railroad, from Palisade on the Central Pacific to Eureka, 82 m., is to be completed in the summer of 1875. There is one bank of deposit, incorporated under state law, with a capital of $100,000. - The executive power is vested in a governor (salary $6,000), lieutenant governor (ex officio adjutant general and state librarian), secretary of state, treasurer, comptroller, surveyor general and land register, and attorney general (salary $3,600 each), elected for four pears. A superintendent of public instruction (salary $2,000) and a state mineralogist ($3,600) are elected for the same term. The legislative authority is vested in a senate of 25 and an assembly of 50 members, chosen by districts, senators for four years (half retiring biennially) and assemblymen for two years. Members of the legislature receive $8 a day while in attendance and 40 cents a mile in going to and returning from the seat of government. Regular sesions cannot exceed 60 days, and are held biennially, commencing on the first Monday in January of odd years. The judicial power is vested in a supreme court, district courts, and justices of the peace. The supreme court consists of a chief and two associate justices (salary $7,000 each), elected for six years, one retiring every two years. The state is divided into nine judicial districts, in each of which a district judge is elected for four years. Justices of the peace are elected in the various cities and townships for two years. In civil cases that require a jury three fourths may render a verdict. The right of suffrage is conferred by the constitution upon all white male citizens of the United States of sound mind and not convicts, who have attained the age of 21 years, and have actually resided in the state six months and in the district or county 30 days next preceding the election. Under the federal constitution colored citizens have the right to vote. General elections occur on the Tuesday next after the first Monday of November of even years. Amendments to the constitution must be proposed by two successive legislatures and adopted by the people. A convention to revise the constitution may be called by a two-thirds vote of each house of the legislature, ratified by a vote of the people. The circulation of bank notes or paper of any kind as money, except federal currency and notes of banks authorized by congress, is prohibited. In the absence of special agreement the rate of interest is 10 per cent., but any rate maybe stipulated for in writing. Nevada is entitled to two senators and one representative in congress, and therefore has three votes in the electoral college. - The assessed value of real estate in 1870, according to the United States census, was $14,5.14,722; of personal property, $11.140,251; total assessed value, $25,740,973; total true value of property, $31,134,012. The total taxation was $820,308, of which $298,-411 was state, $498,062 county, and $23,835* town, city, etc. ; total public debt, $1,986,093, of which $642,894 was state, $987,423 county, and $355,776 town, city, etc. The state debt includes bonds to the amount of $58,000 held by the school fund; the amount of the interest and sinking fund was $86,121. The assessed value of property for 1874, according to the report of the comptroller, was: real estate, $14,125,578 01; personal estate, $12,504,701 21; total, $26,630,279 22; state tax thereon ($1 25 on $100), $332,878 49; county tax, $562,555 46; total taxation on property, $895,-433 95; besides which a state tax is levied on the net proceeds of mines, at the same rate as the state tax on property. A poll tax of $4, one half for state and one half for county purposes, is also levied on each male resident between 21 and 60 years of age. The receipts into the state treasury during 1874 were $570,-277, viz. : from property tax, $275,369 65; tax on proceeds of mines, $163,114 28; state poll tax, $25,196 20; gaming licenses, $16,756 23; fines, $2,562 40; state prison, $21,701 60; sales of state lands, $42,480 42; the rest from miscellaneous sources. The total expenditures during the same period amounted to $641,856 31, viz. : for salaries and contingencies of executive department, $61,012 27; salaries and contingencies of judicial department, $25,876; state library, $2,601 78; support of state prison, including salaries of warden and deputy, $64,090 27; charitable purposes, $38,478 29, including $12,121 28 for state orphans' home, $25,429 36 for support of indigent insane, and $927 65 of deaf mutes and blind; state capitol, $15,464 40; support of schools, $30,510 79; interest on state bonds, $64,304 24; purchase of United States gold bonds for investment, $271,783 77; construction of new prison at Reno, $50,601 87; state university, $1,479 38; miscellaneous purposes, $15,652 55. The balance in the treasury on Dec 31, 1874, was $518,717 21 ($489,177 07 coin and $29,540 14 currency), viz. : belonging to the general fund, $322,335 58; school funds, $43,401 93; interest and sinking funds, $67,437 57; university funds, $30,316 10; various special funds, $55,226 03. The state debt at the above date amounted to $752,361 37, viz. : 10 per cent, bonds due April 1, 1881, $160,000; 9½ per cent, bonds due March 1, 1882, $120,000; 9½ per cent, bonds due March 1, 1887, $380,000; accrued interest, $19,833 32; outstanding warrants, $73,528 05. The assets were as follows: state bonds belonging to school fund, $104,000; United States bonds belonging to school fund, $146,000; United States bonds belonging to sinking fund, $100,000; United States bonds belonging to university fund, $10,000; accrued interest, $10,853 33; balance in treasury, $518,717 21; total, $889,570 54. According to the reports of the county auditors for 1874, the aggregate debt of the counties was $1,296,208 48, of which $1,026,183 14 was funded and $270,025 34 floating; amount of cash in county treasuries, $306,767 07; estimated value of property belonging to counties, $444,175. The state institutions are the state prison, now near Car-son City; the state orphans' home, in that city; and the state university, at Elko. New prison buildings are in course of construction near Reno. 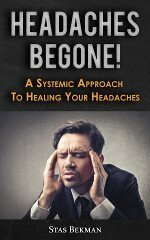 The indigent insane are supported by the state at a private institution in California, while the blind and deaf mutes are provided for at the California, state institution. - The constitution requires the legislature to establish a uniform system of common schools, and also a state university to embrace departments of agriculture, mechanic arts, and mining. A common school is required to be maintained for at least six months of each year in each school district. The school law vests the general control of the schools in a state board of education consisting of the governor, surveyor general, and superintendent of public instruction; a county superintendent of public schools for each county, elected for two years; and a board of trustees of three or five members for each district, elected by classes for four years. By an act of 1873 all children between the ages of 8 and 14 years, unless otherwise educated, are required to attend the public schools at least 16 weeks in each school year, at least 8 weeks of which must be consecutive. The following statistics are for the year ending Aug. 31,1874: number of children between 6 and 18 years of age, 6,315; number of school districts, 71; of schools, 108 (2 high, 12 grammar, 4 intermediate, 21 primary, 69 unclassified); of teachers, 115; pupils enrolled, 4,811; average daily attendance, 2,884; average duration of schools, 71/3 months; total receipts for school purposes, $126,093 97, of which $30,811 98 was derived from state apportionments, $81,945 24 from county taxes, $11,485 99 from district taxes, $317 69 from rate bills, and $1,533 07 from miscellaneous sources; total expenditure, $124,301 64, of which $83,548 88 was for teachers' wages, $22,241 05 for sites, buildings, repairs, and furniture, and $18,511 71 for other purposes; value of school property, $121,011; amount of permanent school fund, $250,000. The state university was established by an act of 1873, and the preparatory or academic department was opened in October, 1874. The legislature in 1875 appropriated $20,000 for its support. An act was passed at the same session providing for an agricultural college, under the congressional land grant of 90,000 acres, for colleges of arts and mines, and for a normal school. According to the census of 1870, there were 314 libraries, with 158,040 volumes, of which 286 with 118,100 volumes were private. Of those not private, 1 was the state library with 20,000 volumes; 1 court and law, 250; 16 Sabbath school, 5,950; 2 church, 600; 8 circulating, 15,140. The number of newspapers was 12, issuing 2,572,000 copies a year, and having a circulation of 11,300; 5 were daily, 2 semi-weekly, and 5 weekly. The number of church organizations was 32 (5 Episcopal, 11 Methodist, 1 Mormon, 5 Presbyterian, and 10 Roman Catholic), having 19 edifices, with 8,000 sittings and property to the value of $212,000. - The region within the limits of Nevada forms part of the Mexican cession of 1848. The territory of Nevada was created by act of congress of March 2, 1861, from a portion of Utah, and embraced the region bounded N. by the present boundary of the state, E. by the 116th meridian, S. by the 37th parallel, and W. by California. A portion of California was included by the act within the limits of the territory, but the consent of that state to its transfer was refused. By the act of July 14, 1862, a further portion of Utah was added, extending the E. boundary to the 115th meridian. 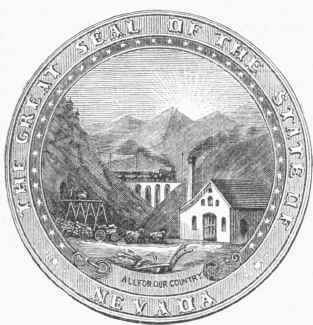 The act of March 21, 1864, enabled the inhabitants to form a state government, and, a constitution having been framed and ratified by the people, Nevada was declared a state by a proclamation of the president of Oct. 31 of that year. A third portion of Utah was added by the act of May 5, 1866, extending the E. boundary to the 1l4th meridian, and by the same act the portion of the state S. of the 37th parallel was added from Arizona. The first settlements within the present limits of the state were made by Mormons in Carson, Eagle, and Washoe valleys in the west, near the present towns of Genoa and Carson City, in 1848, and the two or three following years. Gold was discovered in 1849 in the same vicinity, near the site of the present town of Dayton, and attracted some miners; but at the time of the discovery of silver in 1859 the population did not exceed 1,000. From this period the growth of Nevada may be dated. Within two years the mines were fairly in operation, the number of inhabitants having risen to upward of 16,000 in August, 1861. The first discoveries embraced the Corn-stock lode and other mines in the west. A S. W. County Of Arkansas, formed since the census of 1870 from portions of Columbia and Ouachita counties, bounded N. by the Little Missouri river, a branch of the Washita, and drained by several tributaries of that stream and of Red river; area, 625 sq. m. The surface is rolling and generally well timbered. The valleys contain much productive soil. Capital, Mount Moriah. A N. E. County Of California, bordering on Nevada, and drained by Middle and South Yuba rivers; area, 1,026 sq. m.; pop. in 1870, 19,134, of whom 2,627 were Chinese. The surface is generally mountainous, especially toward the east, which is traversed by the Sierra Nevada range. One half of the area is estimated to be occupied by mineral lands. Gold mining is the principal industry, and agriculture receives little attention, though there is much arable land, and timber is abundant. The county contains several of the richest and most productive quartz lodes in the state, and the placer diggings are not surpassed by any other. The number of mines in 1870 was 80, viz. : 25 hydraulic, 40 placer, and 15 quartz. The Central Pacific railroad passes along the S. border. The chief productions in 1870 were 5,548 bushels of potatoes, 10,183 gallons of wine, 50,741 lbs. of butter, and 4,804 tons of hay. There were 786 horses, 1,148 milch cows, 1,156 other cattle, 504 sheep, and 1,137 swine on farms; 1 manufactory of boots and shoes, 3 of iron castings, 2 of machinery, 4 of sash, doors, and blinds, 6 of tin, copper, and sheet-iron ware, 1 pork-packing establishment, 12 breweries, 1 flour mill, and 10 saw mills.